Happy Monday! Now that we’re past Christmas, I can talk about a DIY gift I made for my boyfriend. My guy’s been slightly obsessed with his facial hair recently, so all of his gifts this year were themed around mustaches and beards. He broke his iPad case earlier this year and never got around to replacing it, so I thought this would be a good mix of fun and practical. There are a ton of iPad sewing patterns available on the Internet, but surprisingly few that actually double as viewing stands. Most are sleeves, more or less. 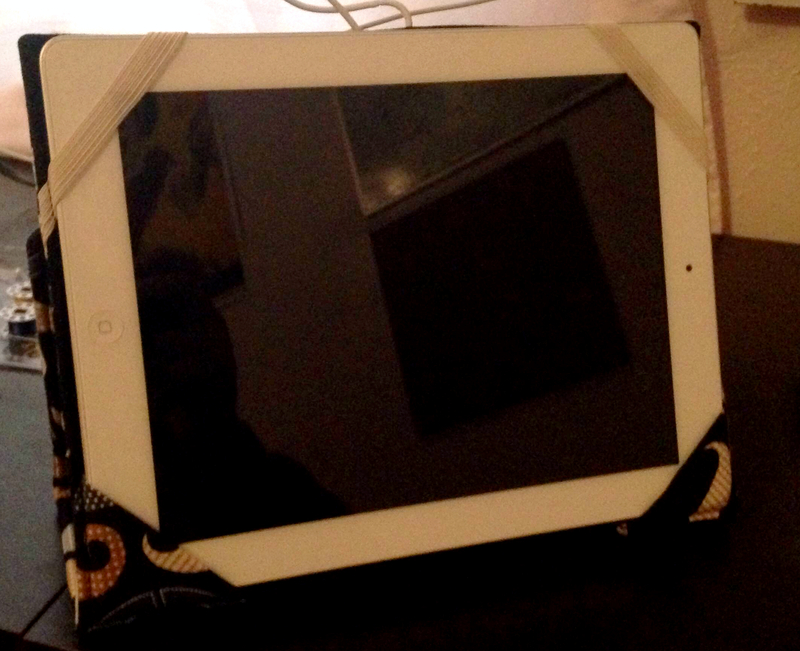 The BF also has an older generation iPad, so I had to take that into consideration as well. I probably could have made alterations to an existing one or drafted one myself, but laziness. After some searching, I ultimately went with this one from Katie’s Modern Nest. Overall, it was a pretty easy pattern to follow. There are ample instructions and diagrams. The pieces are mostly rectangles and squares, so as long as you can sew a straight line, you can make this pattern. All in all, it took me about 3 hours from cutting to finish. Or 4ish episodes of Once Upon a Time. I also got the supplies kit from Katie’s store, since I wasn’t sure where to purchase masonite, which is used to give the case structure. Turns out, you can get it from a hardware store, which is good to know next time I need a case. Alterations: None. I intended to remove the outside pocket, but the flap piece for the pocket is necessary to keep the tablet in viewing position. 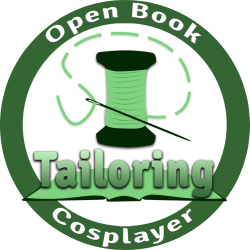 Notions: Thread, velcro, button, elastic loop, masonite, stabilizer, interfacing. Make it again? 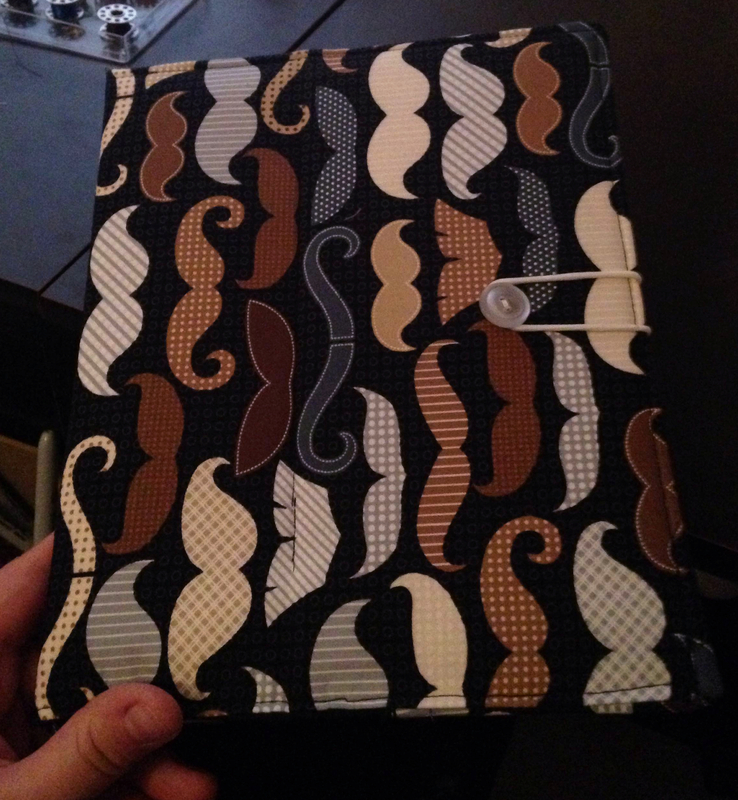 : Definitely if I need another iPad case. To be honest, I really want another one for myself. 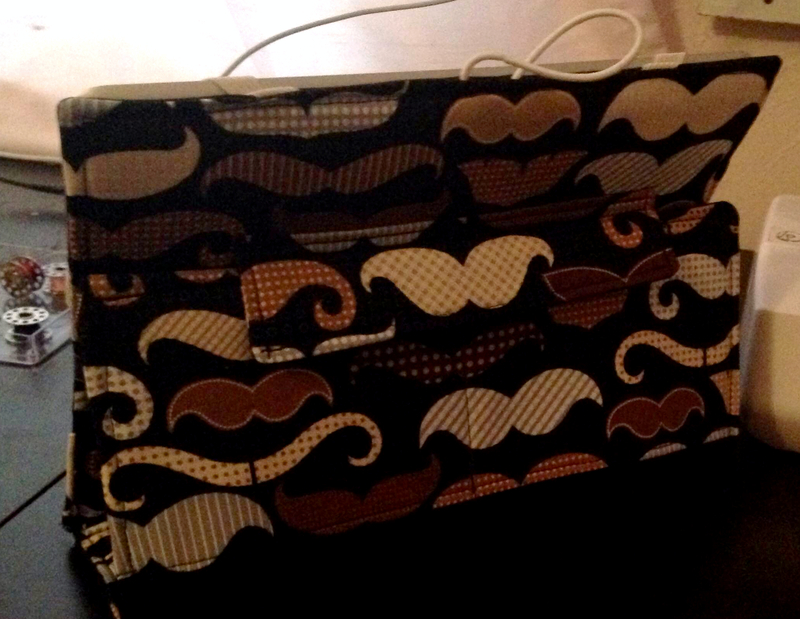 Favorite parts: I love this fabric and how sturdy the case is. We’ve used it quite a bit since Christmas and it looks like the case will hold up quite well. 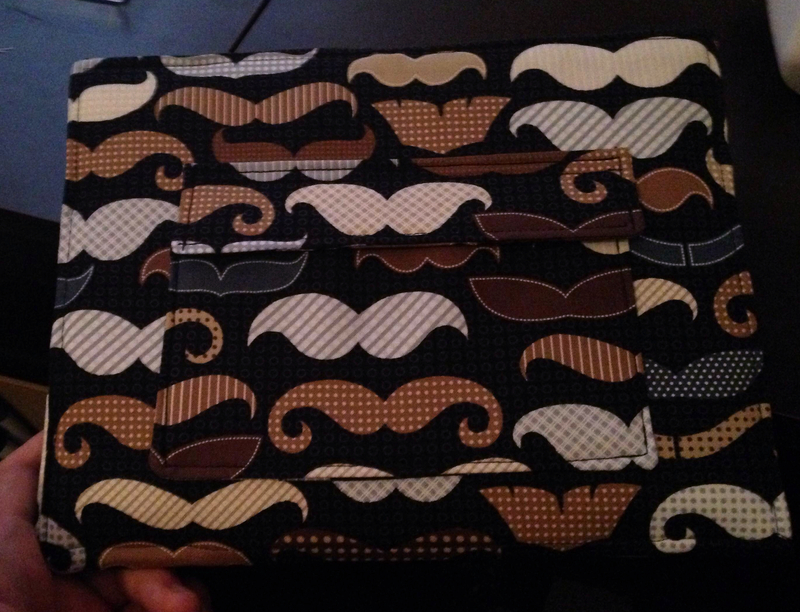 Other thoughts: This is the first iPad pattern that actually has all of the elements I look for in an iPad case. If I were to remake this, I’d probably take off the interior pockets, since I don’t think the BF will use them. Still, they still make for a very attractive case. Did you make or receive any DIY gifts this year? Love this case! I have seen a ton of patterns, but this is the first one I’ve seen that doubles as a stand (which to me is kind of the most important part). Looks great!